View More In Upright Freezers. 2 Glass Doors, Capacity: 45 Cubic Feet, High grade 304 stainless steel, 6 Shelves, (2) Locking and (2) Non-Locking Casters, Ergonomic design. Dimensions: 54.5" W x 31.5" D x 84" H, Net Weight: 462 lbs. Shipping weight (we double crate each item) 550 pounds, 5 YEAR COMPRESSOR WARRANTY INCLUDED. 1 YEAR ALL ADDITIONAL PARTS. 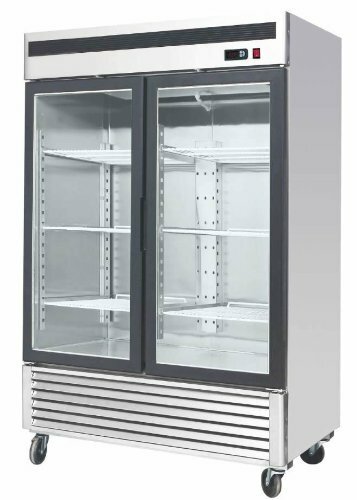 If you have any questions about this product by MCF-8703 Freezer, contact us by completing and submitting the form below. If you are looking for a specif part number, please include it with your message.